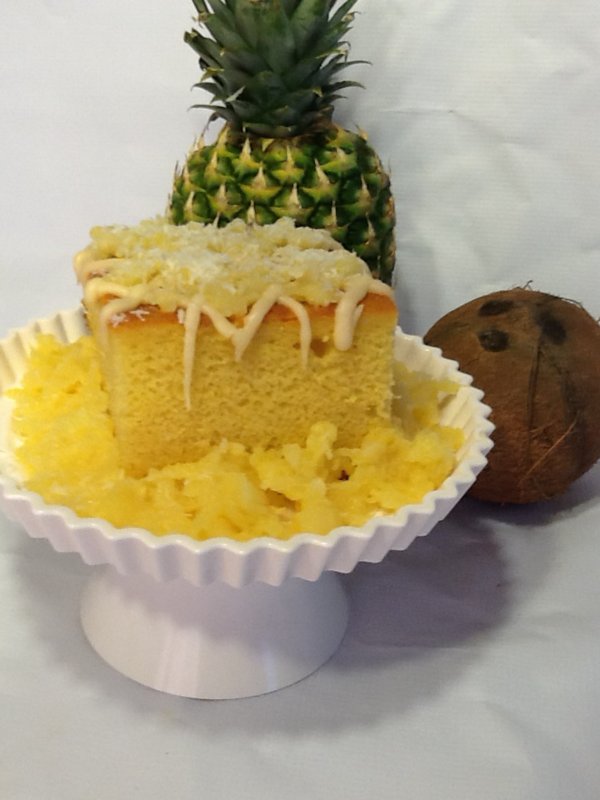 Our Honey Bun Pina Coloda Cake reminds you of being on a tropical Island. Here are our cake sizes and how many people you can serve: Regular-12x9 ( can serve up to 9 people ), Large- 22x13 ( can serve up to 25 people ). Our Honey Bun Pina Coloda Cake reminds you of being on a tropical Island. Here are our cake sizes and how many people you can serve: Regular-12x9 ( can serve up to 9 people ), Large- 22x13 ( can serve up to 25 people ).